The new neutral? Leopard! Lately this fun animal print has been my 'go to' for finishing my look. 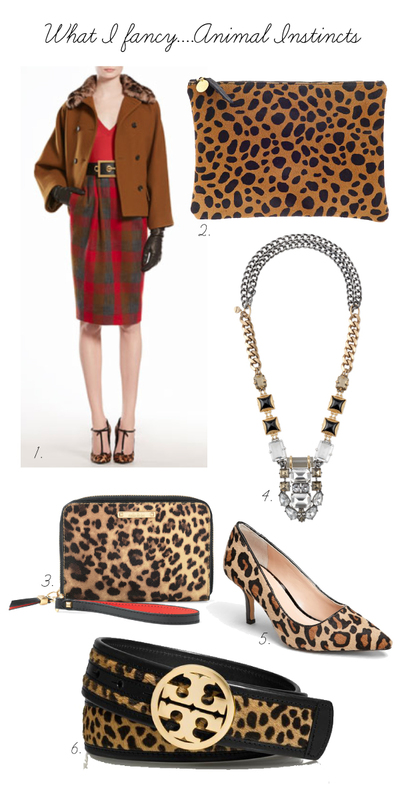 Outfits from last Fall become 'oh-so' this Fall, the moment one adds a leopard clutch or pumps. Leopard is also not only paired with black and brown anymore, but looks chic with pink, wine, green, navy...you get my point. Have fun with it. If you are looking for an easy way to update your wardrobe think Leopard. These flats from Target are also great! I wear them at least twice a week. Have a wonderful day and thank you for stopping by.